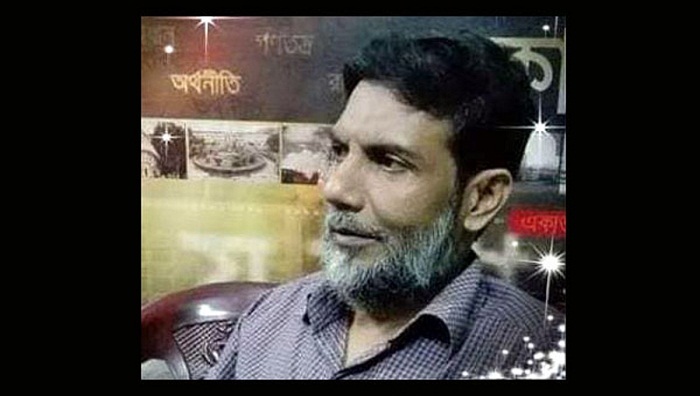 A journalist reportedly committed suicide by hanging himself at his residence in Bejpara Graveyard area in Jashore district town on Monday morning. Deceased Daniel Habib Anjon Nova, 37, a member of Jashore Press Club for a couple of years and office secretary to Jashore Journalists' Union, reports UNB. Being informed by the family members, police recovered the hanging body for an under construction room of the victim around 10 and sent it to general hospital morgue for an autopsy, said Sub-inspector Shamim of Kotwali Police Station. Kazi Mamunur Rashid, a relative of Nova, said he was depressed for a long time due to unemployment. Nova was accused in Journalist Samsur Rahman murder case and was in custody for some days.